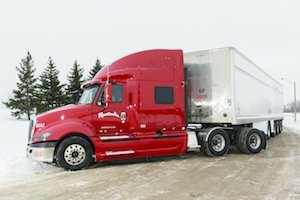 Toronto, Ontario – Manitoulin Transport has acquired Express Havre St-Pierre (EHSP) of Havre-St-Pierre, Quebec. The acquisition builds out Manitoulin’s coverage in Central and Eastern Quebec, particularly in the province’s rural areas. Express Havre St-Pierre provides truckload (TL) and less-than-truckload (LTL), dangerous goods, temperature controlled, and white glove services, for a wide variety of industrial and commercial customers. The company has terminals in Quebec City, Varennes, Baie-Comeau, Sept-Îles, and Chicoutimi in QC, and also in Labrador City, NL. “Express Havre St-Pierre has stood the test of time and built a solid name for itself as a well-run, customer-centric business,” said Jeff King, president, Manitoulin Transport. “We look forward to combining our knowledge and experience with Manitoulin’s,” said Félix Bélanger, general manager, Express Havre St-Pierre. “This acquisition demonstrates Manitoulin’s commitment to ensuring strong coverage in Quebec,” said Gord Smith, CEO, Manitoulin Group of Companies. “Express Havre St-Pierre has been an important interline partner of Manitoulin Transport for many years,” said King.